The SJF answered the call from Public Service International (PSI) to support the public health workers unions of West Africa in their fight to stem the outbreak of the Ebola Virus. The recent crisis showcases the deep cracks in the African Public Health System and the lack of access of ordinary citizens to adequate health care and facilities. Decades of neoliberal policies are responsible for crumbling infrastructure, the deterioration of working conditions and the critical exodus of medical personnel to the more lucrative private health sector or to seek work outside Africa. By the end of November 2014, 325 health workers had died from the disease in countries where health care workers are already in tragically short supply. The primary reasons for the death of these workers have been inadequate personal protection equipment, abysmal working conditions, understaffing, and a complete lack of resources to deal with the scale of infections. Moreover, workers have to contend with the lack of regular and adequate payment, with no compensation for the families of the ill or deceased caregivers. In Liberia, health workers not only risk their lives, but they are being denied human and trade union rights, as it remains illegal for public sector workers to join unions. immediate relief and assistance to PSI health workers and their families, especially in cases where health workers have died, and their families have no access to social protection. 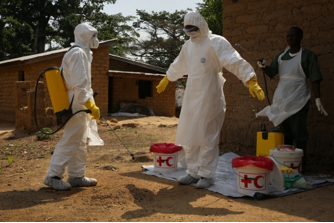 medium and long-term projects to ensure that all health workers coming in contact with Ebola be appropriately trained and protected, with access to necessary tools and personal protective equipment. The PSI is also lobbying national governments, regional organizations and multilateral and bilateral donors to ensure that countries build public health infrastructure to guarantee universal health coverage and social protection systems that can provide for the families of workers killed in the line of duty. Health workers unions must be part of the process to support and accompany the adoption and implementation of adequate measures to protect workers as well as to contribute to the education and involvement of communities in the public health care system. The Ebola outbreak is a wakeup call to all governments to invest more financial and human resources into the public health systems in African countries. Public health must become a priority of national budgets. There is no reason for the lack of funding to health care when multinationals are making billions while continuing to dodge taxes around the Globe. Healthcare must become a priority in the national budgets of African countries. Ayuba Wabba, President of the Nigerian Medical and Health Workers Union and WAHSUN, stated “we need strong public health systems in place. Too many of the critical elements of the health system have been outsourced. 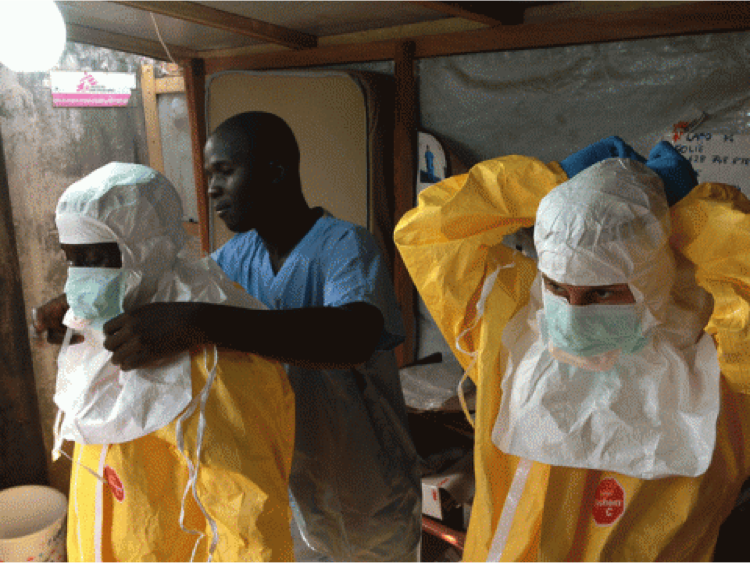 You cannot outsource disease control”.